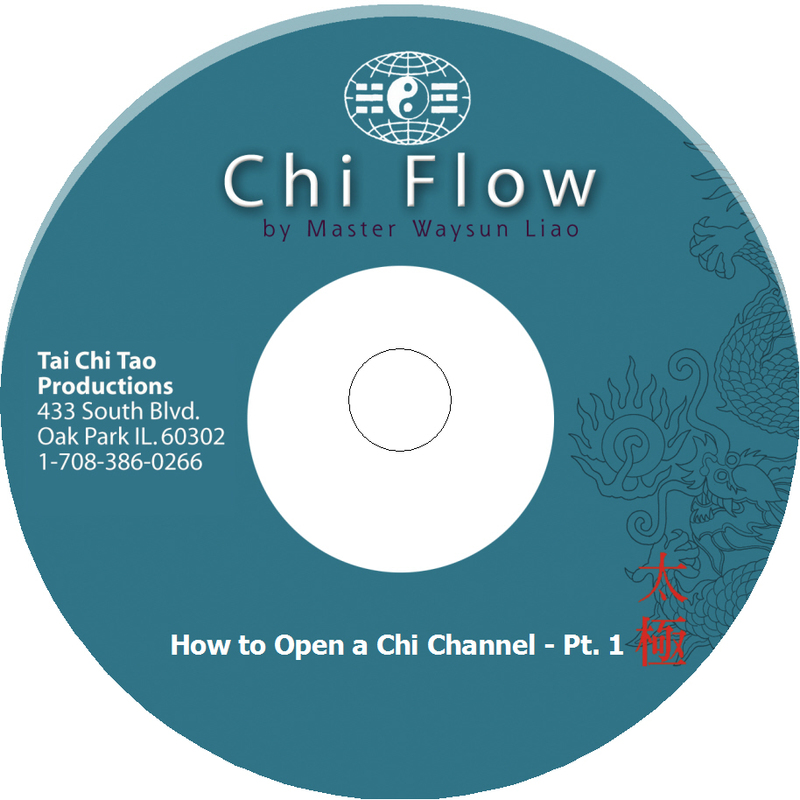 Seven high level DVDs with advanced teachings that will help you flow your Chi. In order to advance to martial arts, healing and other Chi applications, you must learn to flow. You can also purchase each DVD separately. 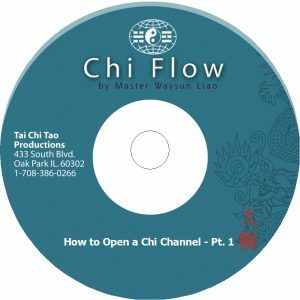 These Chi Flow classics capture one-hour live teachings from Master Waysun Liao to a select group of advanced students. 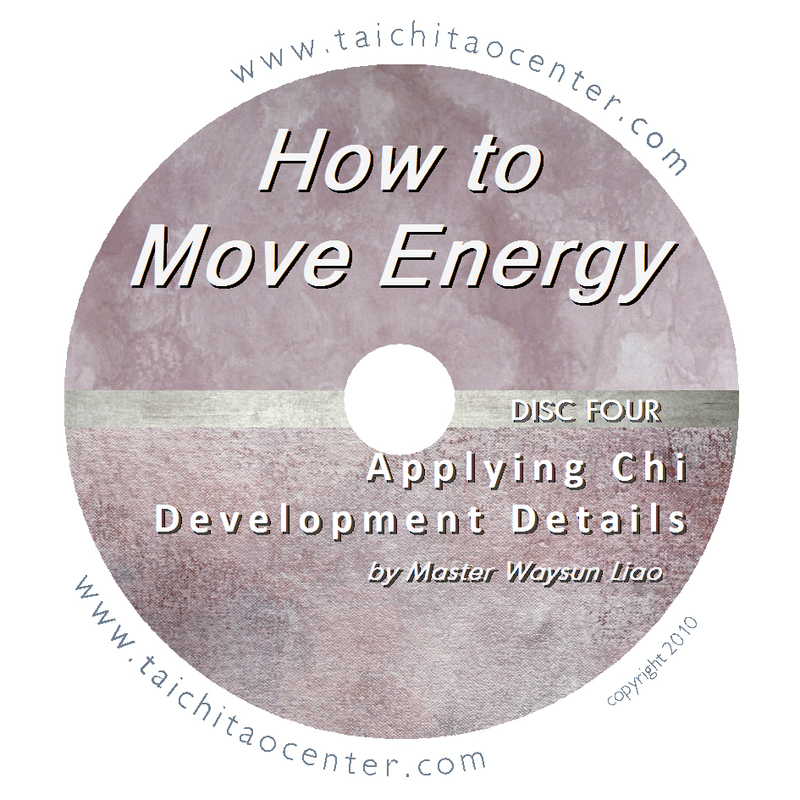 On each disc you will learn techniques to apply to your Taichi forms to help you move your life energy. Without the ability to flow your Chi, you simply cannot advance to martial arts, healing or other applications. Master Liao shows you how to enter the state of Taichi through meditation in Preparation Form. You’ll learn how to coordinate your breathing with energy flow to key points within your body, training your internal energy. You’ll learn the points necessary to move your energy vertically in expansion, as well as the points necessary for expanding horizontally. Combining the two, you will be able to expand in all directions. Master Liao touches on the role of martial arts as an index to check whether you are capable of generating an energy signal, and the difference between the martial arts application and application in healing, spiritual reading and traveling. This is an important DVD to change your standing meditation into fruitful practice for your internal energy. To reach higher levels of Taichi achievement, your energy needs to be both strong and clean. 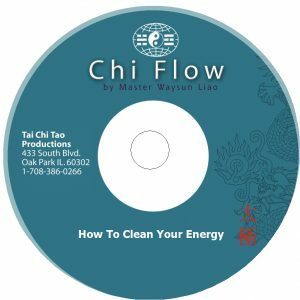 On this DVD, Master gives you clear step-by-step instructions on four critical energy cleaning forms. You’ll learn how, when, where and why to do them, and how not to do them. First, you’ll learn how to Discharge or drain. This form uses the pull of gravity and the correct position of your calm and relaxed body to help send negative energy off and away from you. Second, you’ll learn Yin and Yang Reconnect. This form helps you connect earth and sky to cycle heavy earth energy upward, transforming it into heaven or sky energy. Third, you’ll learn how to pull energy up and over your crown-point and then down along important meridians in your chest. This form will help you move negative energy that collects in your head and upper body back down to your Dan Tian for recycling and elimination. Fourth, this DVD contains two special bonus features from our archive tapes of live advanced classes in 2003. Upward-Downward is one of the easiest forms to learn, yet one of the most powerful when you apply these moving meditation techniques from Master Liao. You’ll learn how to incorporate Yin and Yang into your movement and how to break each motion into six, or even thirty-six, sub-components for extra power. You’ll also learn how establishing the vertical axis running from heaven to earth, crown-point to tailbone, is a critical element for successful Chi flow. This is the most advanced disc available on this critical Tai Chi Single Form. Master Liao demonstrates in great detail how to practice each single form in Deflect Downward, Parry and Punch, and then shows you how to combine them together for powerful cumulative energy flow. You’ll learn why Punch is not really a punch, but rather a projection and release of gathered energy. You’ll see how Yin and Yang work together as you bring balance and harmony into your correct practice of these key forms. Master Liao uses Push form, along with diagrams on the classroom board, to show exactly how to move energy through the body section by section. This form of practice can help to open a Chi channel and give you the ability to create powerful flow. There is a correct sequence and a connection by which each part of the body moves. This sequence is defined by flow. You’ll learn the role of the tailbone in Push Form, as well as when and how to focus on the spine as a bow to draw back and release power. Later on in this DVD, Master Liao discusses the mental discipline necessary for this internal practice, and how to achieve the delicate balance between calmness and concentration. You’ll also enjoy hearing Master Liao bring in several excerpts from the Tai Chi Classics, illuminating their real meaning through these practical lessons. 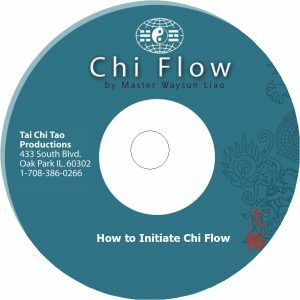 Through the forms of Taichi Ball, Twist Taichi Ball and Single Whip, Master Liao discusses mental focus and layers of practice training that help initiate Chi flow. You’ll learn why it is important that every part of the body be involved in every Taichi movement, from your ear to your toe, to your internal organs. When you turn, everything must turn together, with no missing parts. Similarly, Master explains why in Taichi every section of your body must connect together, and why each movement is done section by section. This way of movement is the way of flow. Master Liao always tells his students: No flow, no grow. You need the practice principles on this DVD to encourage your energy to flow, and to develop the ability to drive that flow with your mind. Use the power of your Dan Tian and Tai Chi Ball to attach to your opponent, or to the universe! Master Liao dissects the critical form Hands Attaching, offering new levels of insight and new levels of practice — physical, mental and spiritual. When practicing Taichi, you are always attached to something — whether it is your opponent or practice partner, or the outside energy of the universe. By keeping this in mind, you will use correct concentration on the energy sphere expanding from your Dan Tian. Find out how on this DVD. Also, Master Liao uses Hands Attaching to give direct examples of what it really means to move from your Dan Tian. This advanced level DVD is for those who want to not only increase their feeling of Chi, but now want to go further and start to move and use that feeling. This DVD is especially critical for those who wish to bring sensitivity and power to Two-Person (or pushing hands) practice.